ISO Message descriptions with examples are available on-line on ISO20022's message catalogue and Bank-to-Customer Cash Management message set. 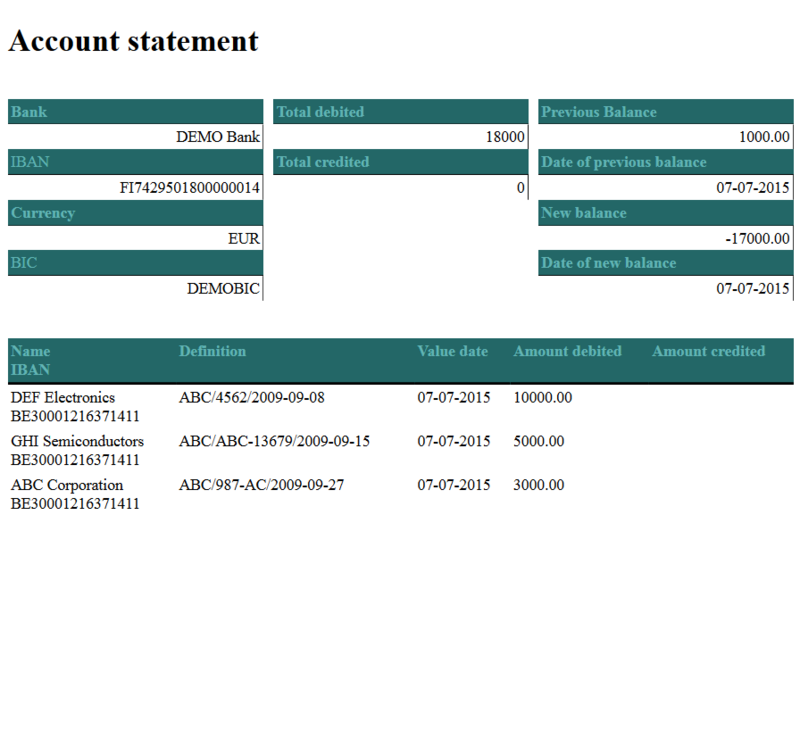 XMLdation Bank simulator generates camt.05x and pain.002 message scenarios based on ISO20022, CGI-MP, country or bank specific implementation rules. You can see example camt.053 generated by XMLdation Siumaltor according to CGI-MP. The visualization of report can be found here. Credit / Debit Notification mm. "Viiteluettelo. Ennakkotiedot, erittelyt"